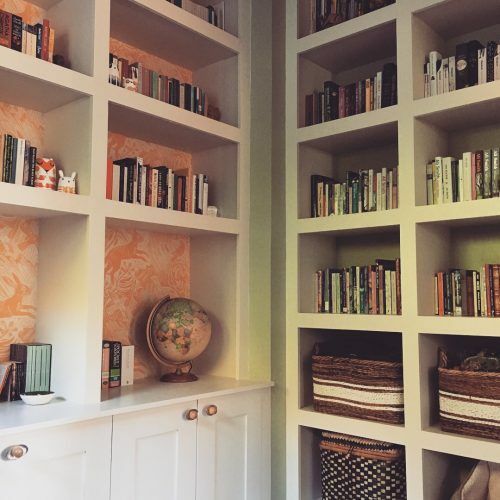 A recently completed commission in Harrogate to turn a simple dining room in to a warm, inviting reading room to loose your self in a good book. 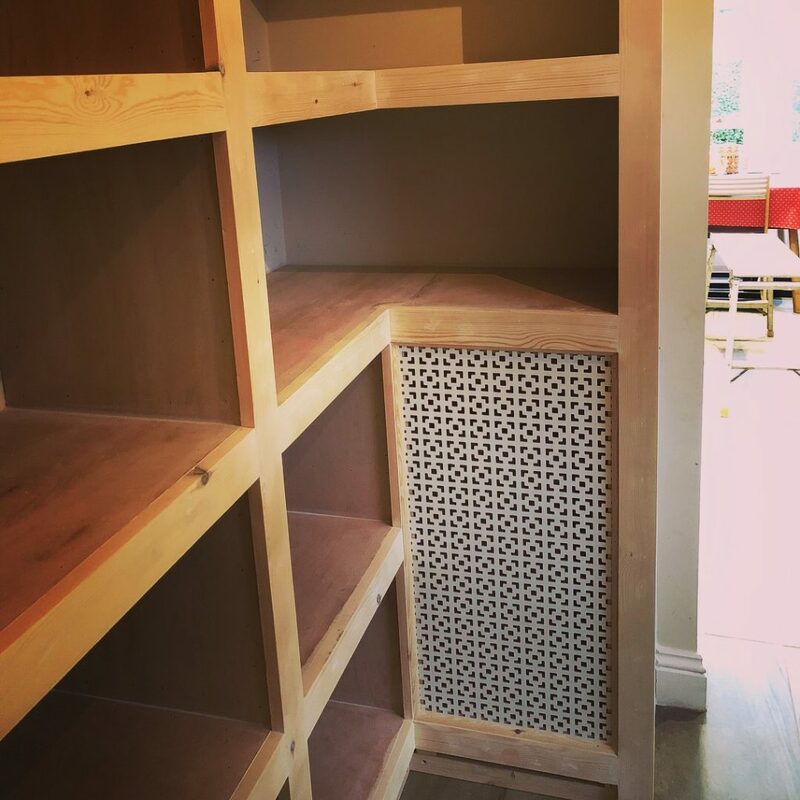 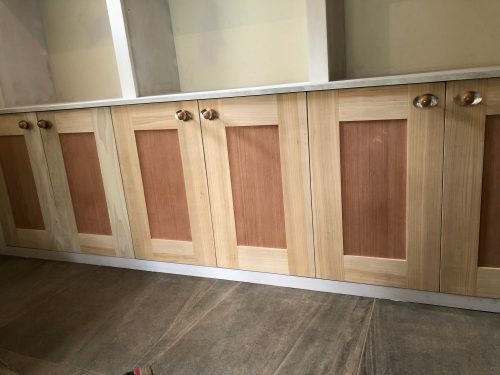 Helen our customer had the brilliant idea of bringing this joinery piece to life and exactly how she wanted it. 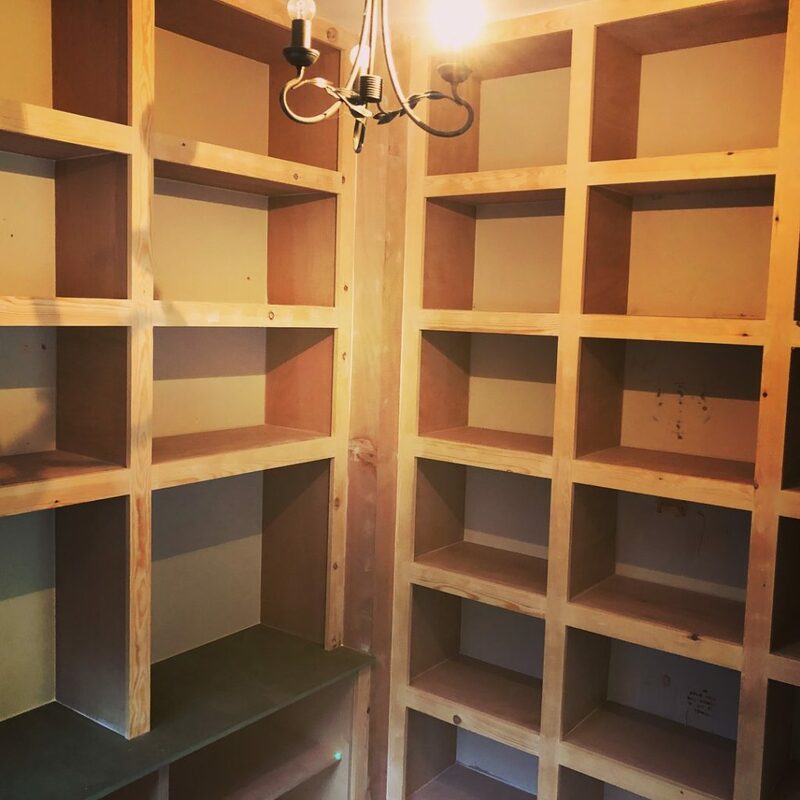 For us this is an enjoyable way to work, as our customers get to see their joinery ideas come fruition. 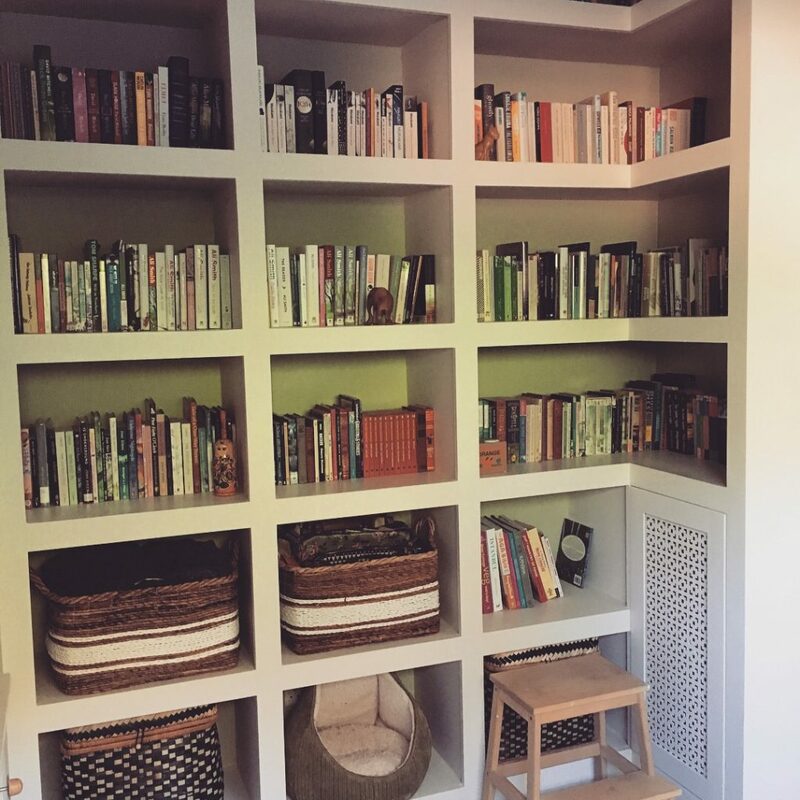 Needing space for a lot of books (and some cat hideouts), firstly a frame was built stretching around the 3 walls with the shelf spacings to suit. 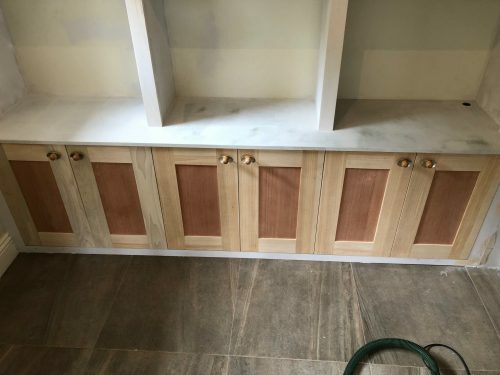 On the main wall a cabinet was built comprising of 3 units fitted with shaker doors with tulip wood rails and styles. 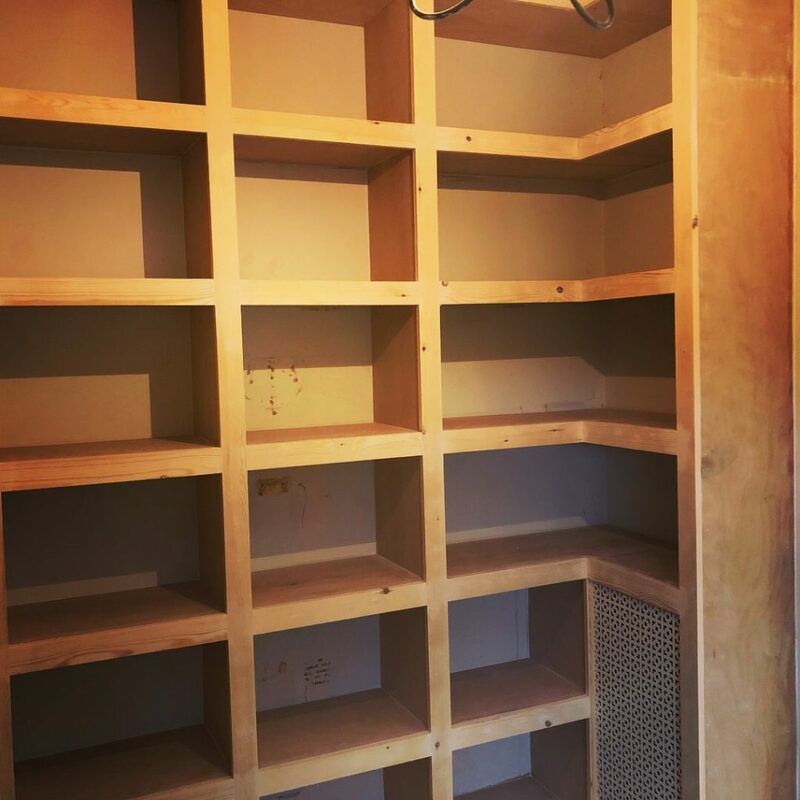 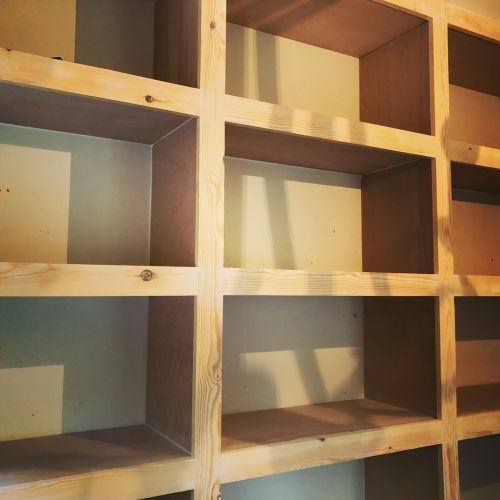 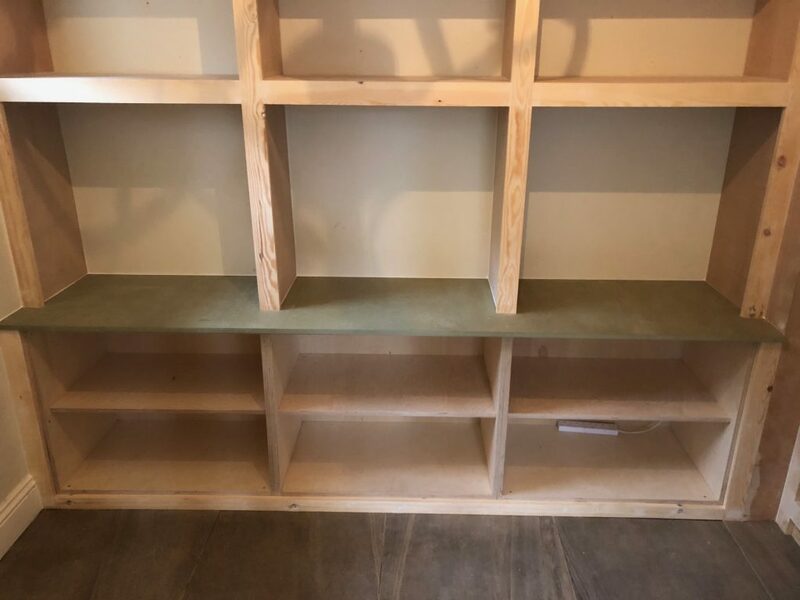 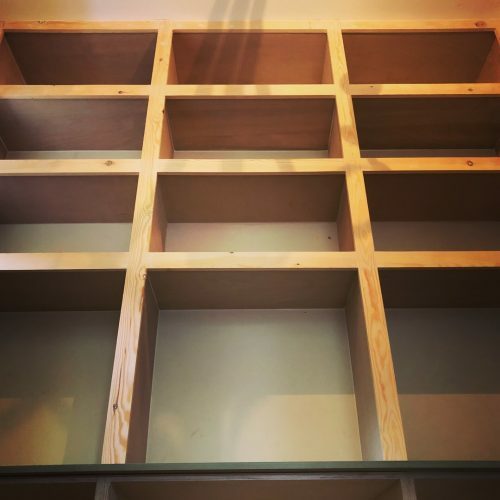 All there frame work was clad with 9mm ply, the reason for this approach was to allow for chunky looking shelving once the frame was planted on the front. This type of construction also allowed for the shelving to carry a lot of weight in the books safely. A vented service hatch was fitted to allow the heat from the radiator to flow and also access. All the painting and decorating work carried out by our customer Helen who did a fantastic job with he farrow and Ball paint and wall papering the recesses. 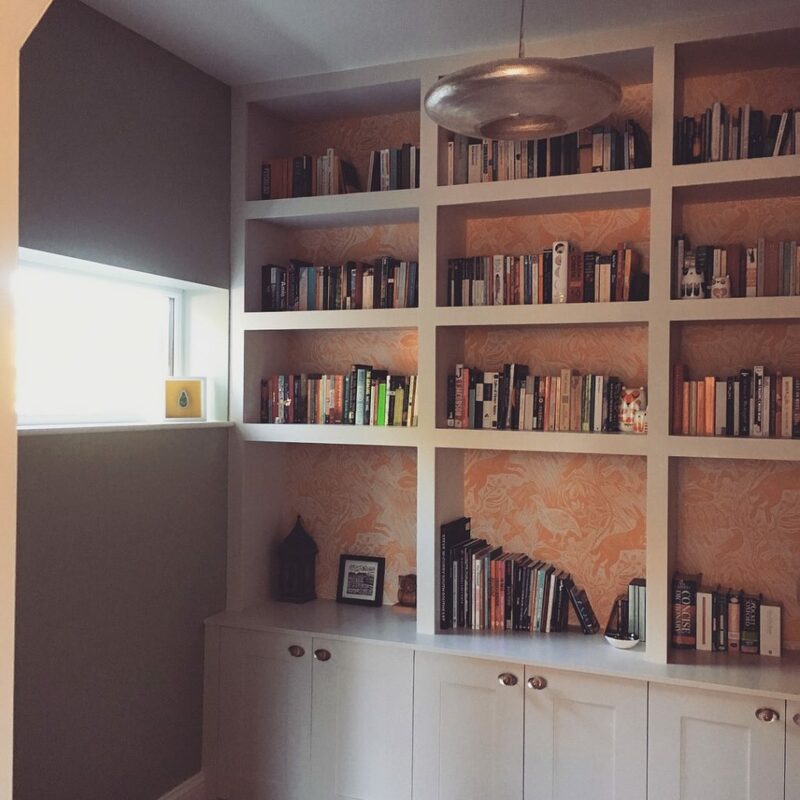 We love a challenge and the more creative the better. Our customers receiving a bespoke joinery commission they envisaged is our speciality, We enjoy our work and want you to enjoy the whole process as well. Head over to our contacts page if you would like a chat about a joinery idea you have. This whole site has zero stock imagery so take a look around and see our joinery work for yourself.